It may seem odd to call a town of 23,000 a cultural destination. But Oxford, Mississippi, is indeed a place of deep and enduring culture. Square Books, which opened on the historic courthouse square in 1979, is one of the nation’s top booksellers. 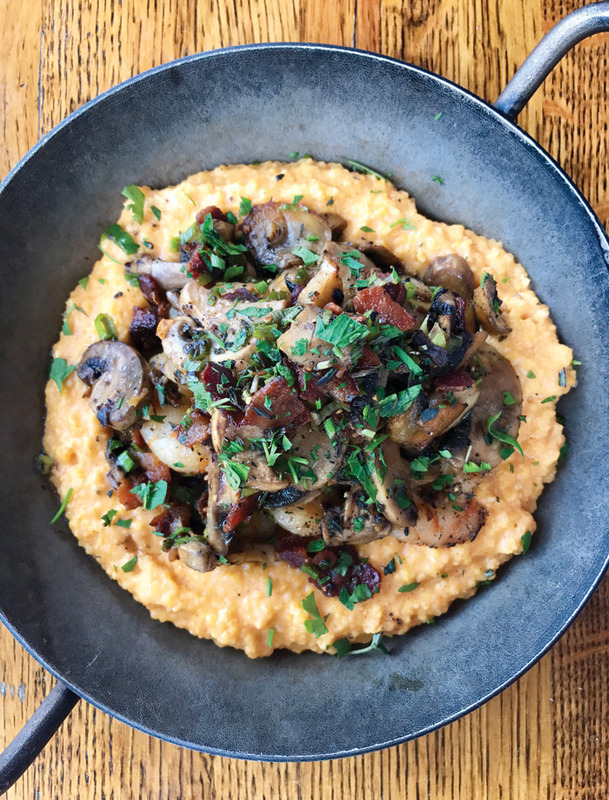 Vishwesh Bhatt, an Indian immigrant at the helm of Oxford’s Snackbar, was a 2018 James Beard finalist for Best Chef in the South. 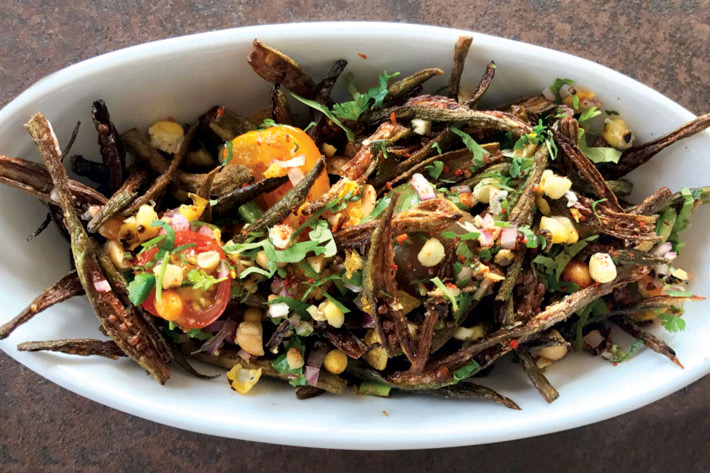 (Forget biscuits and gravy; his specialty is okra chaat.) Mississippi’s first university is headquartered here, along with its namesake museum, which houses one of Georgia O’Keeffe’s most significant works. And maybe you’ve heard of a guy named William Faulkner; you’ll find both his home and final resting place in Oxford. It was a creative idea that led to Oxford’s founding in the first place. In 1837, a group of Lafayette County residents decided Mississippi needed its own university, so they incorporated fifty acres and bestowed upon the fledgling town a name synonymous with Old World academic excellence: Oxford. 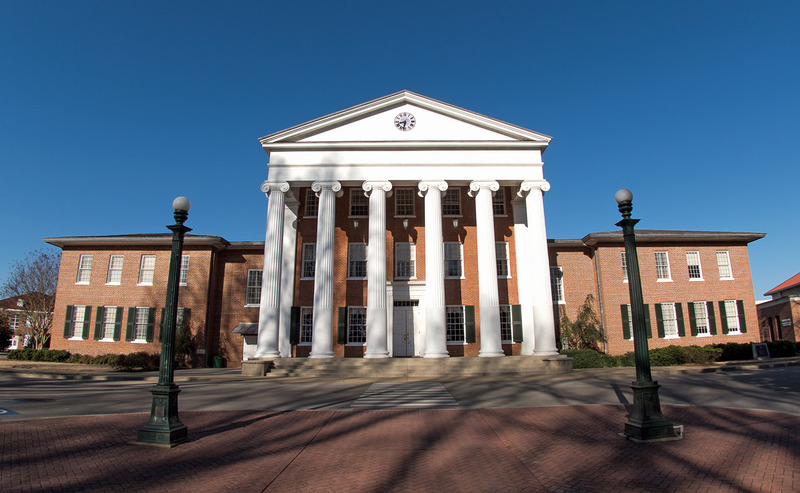 Eleven years later, the University of Mississippi enrolled its first eighty students, and it remained the state’s only comprehensive university for the next 110 years. During the nineteenth century, it became one of the first universities in the South to admit women and hire female faculty. It also experienced the horrors of war. In 1861, after Mississippi seceded from the Union, most of the student body enlisted in the Confederate Army. Company A of the 11th Mississippi Infantry Regiment became known as the “University Greys” because nearly all of its gray-uniformed soldiers were University of Mississippi students. At the Battle of Gettysburg, the Greys took part in Pickett’s Charge, and every last one was killed or wounded. The following year, Union troops set Oxford ablaze, destroying the courthouse and most of the square. It wasn’t until the turn of the century that Oxford emerged from its ashen shell. About this time, a boy named William Faulkner moved with his family to Oxford. 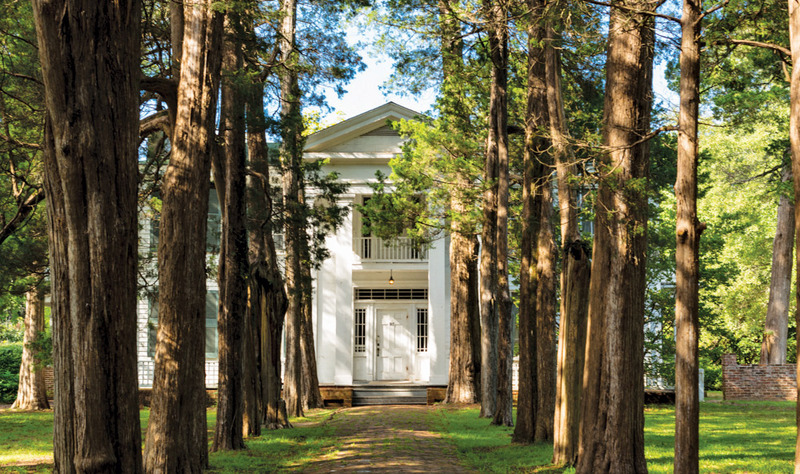 He spent his life there, attending the University of Mississippi and penning such acclaimed works as The Sound and the Fury inside his beloved home, Rowan Oak. Today, regular tours of Rowan Oak showcase everything from his book-strewn bedroom to his writing room, where the outline for The Fable is scribbled on the walls. 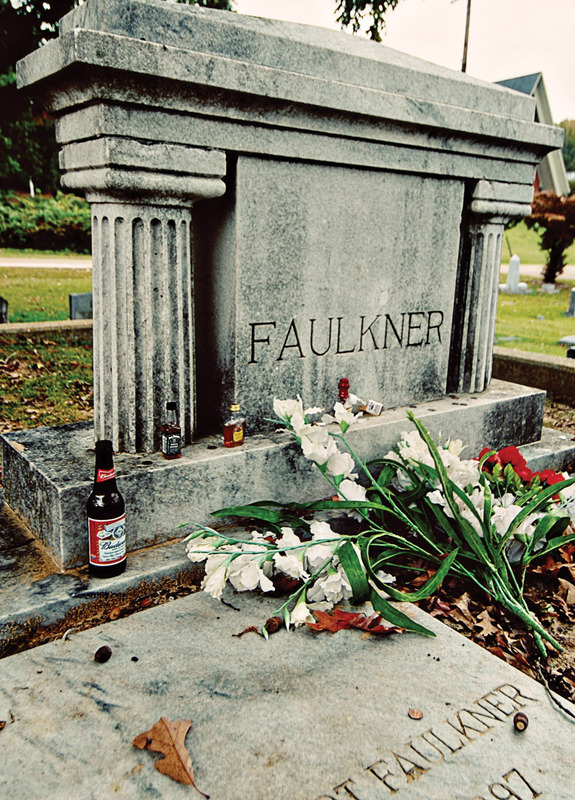 Faulkner is buried at Saint Peter’s Cemetery, and tradition holds that visitors take a swig of Four Roses whiskey (his favorite) and leave the empty bottle on his grave. Thursdays at 6 p.m., head to Off Square Books for a recording of the Thacker Mountain Radio Hour, a live radio show with musical performances and author readings. 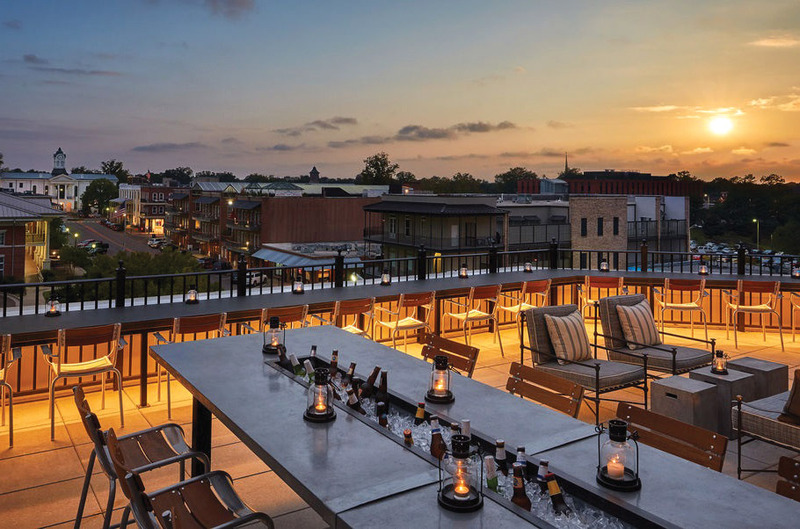 Enjoy a barrel-aged Vieux Carre at The Coop, a rooftop restaurant and bar at the Graduate hotel downtown. 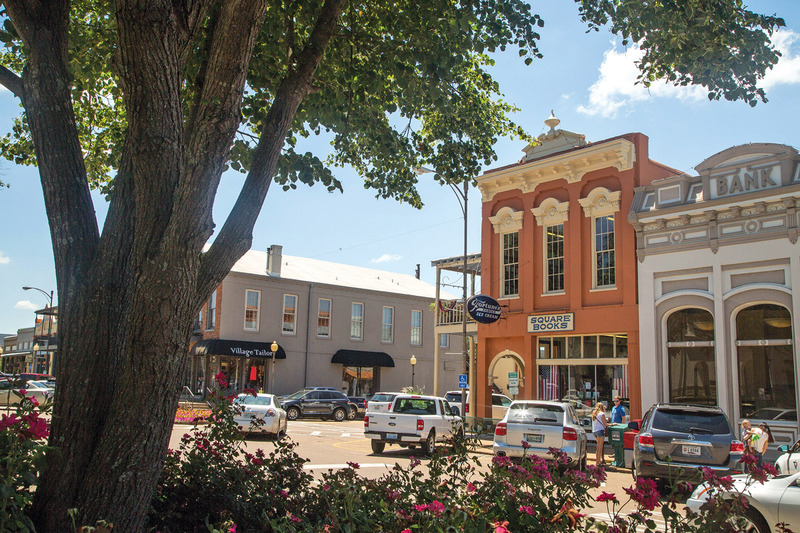 The oldest continuously operated department store in the South, Neilson’s anchors the square with preppy fashions, everyday china, and Ole Miss Rebels gear. 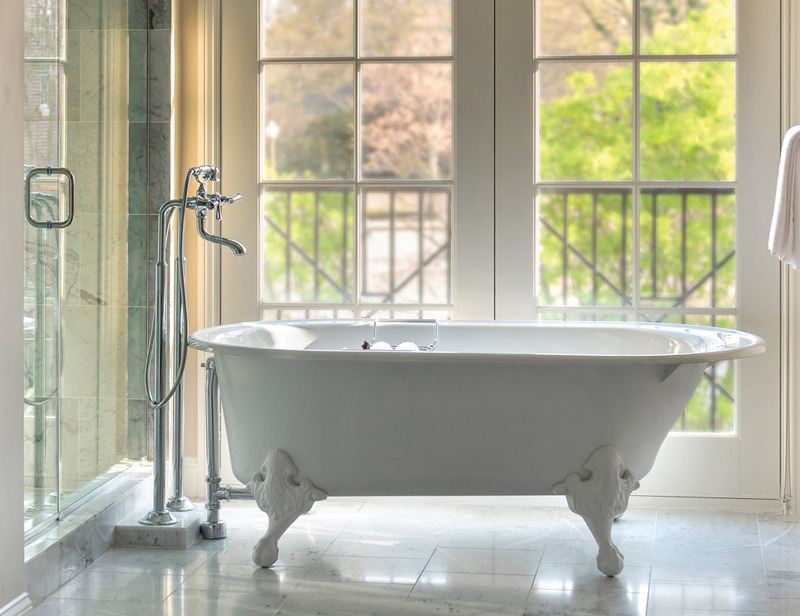 With thirty-one elegantly appointed rooms and suites steps from the square, Chancellor’s House is Oxford’s newest inn, and also its grandest.